This week we have continued preparing Dolphin Dance for the main sailing journey of this season. 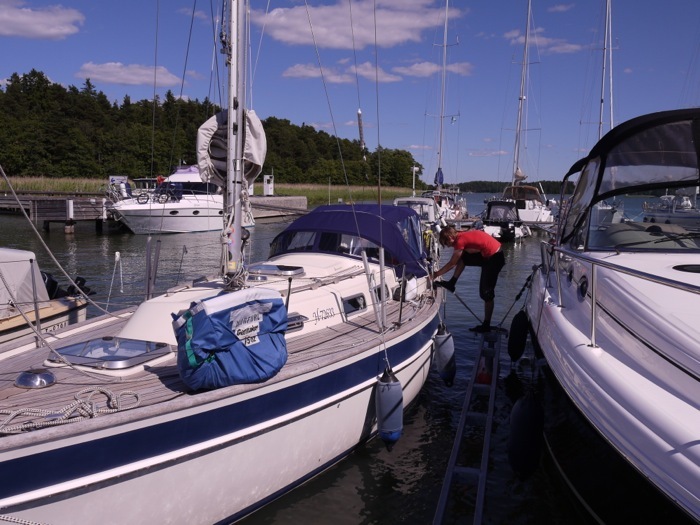 That is a trip to Gotland, which is bound to start on Friday next week. There are still plenty of preparations to do including all the provisioning, which is left for the next week. In addition to fixing things at the boat, we made a couple of evening sails earlier this week in beautiful weather. We also got our new sprayhood and cockpit tent from the maker. The sprayhood was installed already last Saturday, but fitting the cockpit tent was left for Wednesday. More photos coming next week. Among other things, both of the fire extinguishers were checked. 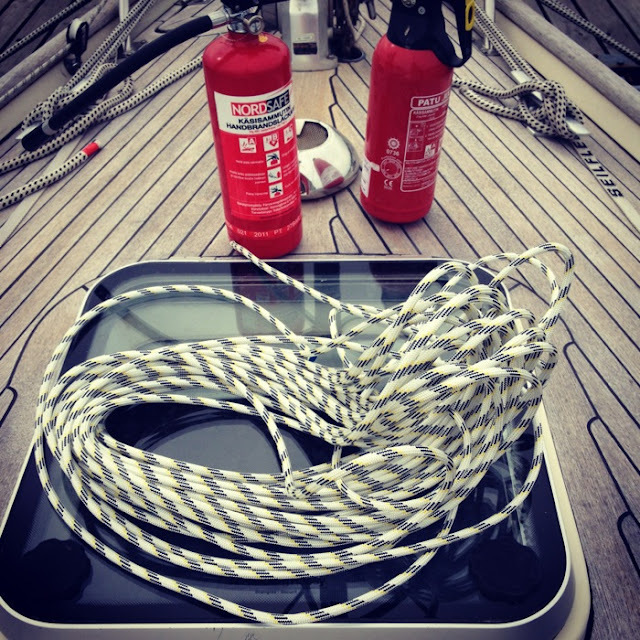 Also our main sail halyard was a a bit worn out so it was replaced with 8 mm dynema rope. 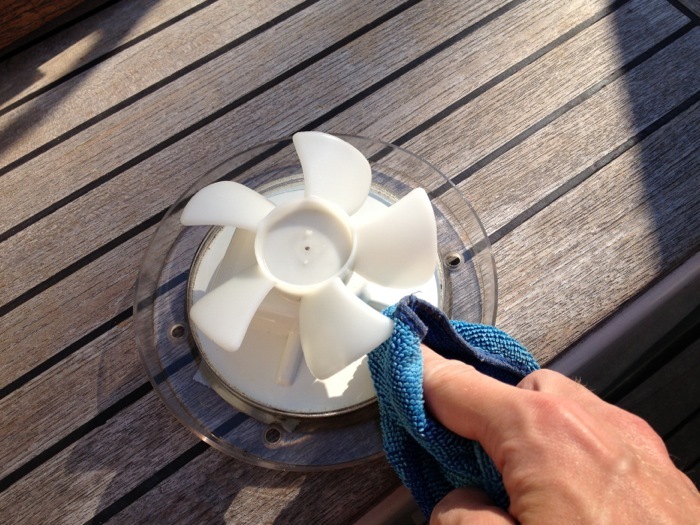 Solar powered ventilator is good in gathering mold/dust (and spreading it through the boat). Thus, it is good to clean it from time to time. 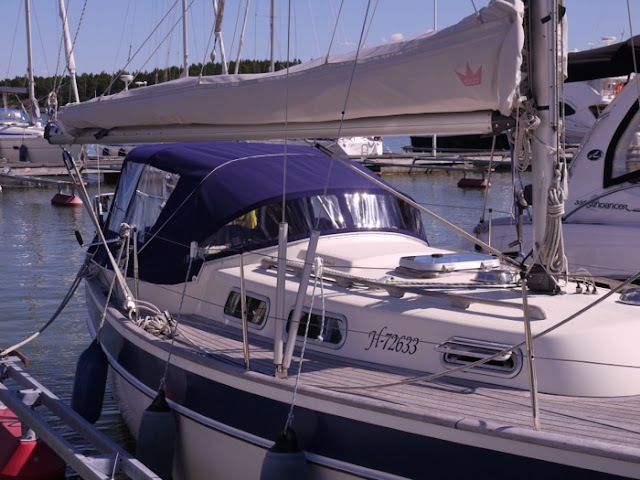 Antti is working on Friday and Saturday, so we are not going sailing during the Midsummer weekend, which is the biggest holiday of the summer in Finland. 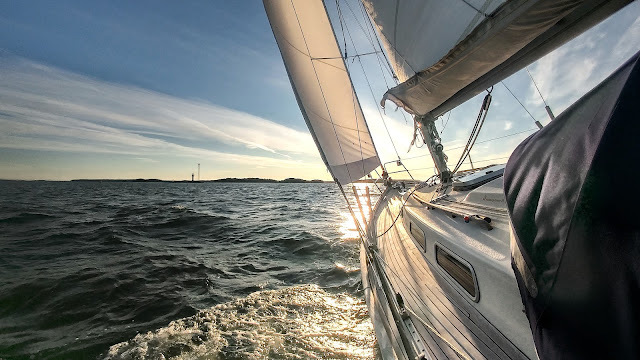 We wish you all a great Midsummer and fair winds for those who are spending it on the water! Boat looks good! I can't wait to see your photos from the summer vacation. 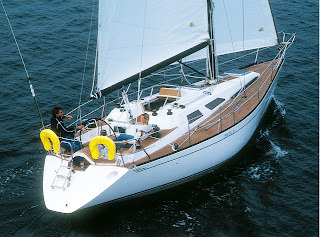 Gotland would be absolutely wonderful to sail to. Maybe after we get fed up with our lake scenery.